In a Bourdon style odorizer, the odorant injection is controlled by a Bourdon tube triggered by a differential-pressure transmitter that senses the flow across an orifice plate. This is an uncommon odorizer type. Drip technology was first used to odorize high-flow systems having little variation in flow when temperatures and pressures were stable. In these systems, odorant would be controlled by a needle valve and drip into the gas stream. Unfortunately, because of the frequent clogging of the needle valve due to odorant viscosity, density variation and odorant deposits, the system required operator presence to monitor performance through a peephole. 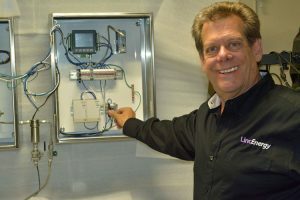 Today, the modernized drip system is improved with updated measurement, computer controllers, and control electronics to create a precision dosing system capable of odorizing gas over a wide flow range. One of the modifications includes integrating electronically operated valves that pulse on and off to permit the precise amount of odorant through a drip tube. Changes in the gas flow and head pressure (due to odorant tank level variations) drive the valve operation. The drip tube is in a measurement chamber equipped with an optical sensor that sends electrical pulses with each drop dispensed. Drop size is dependent on the mass of the drop, the surface tension of the odorant, and surface area of the drip tube tip. Surface tension is slightly dependent on odorant temperature, requiring a simple linear correction. Therefore, the only variable needed to calibrate the drop’s mass is the odorant temperature. This methodology of odorant metering is more direct than measuring volume and converting to mass. In another injection model, the odorant is introduced into the pipeline gas stream through an electrical or pneumatic pump. An electronic system monitors the gas flow and controls the pump. Typically this design is suitable for odorizing gas flow rates above 175,000 SCFH. Odorant injection odorizers accurately track gas flow and odorize gas at wide flow variations. They also have built-in notifications or alarms for remote control capabilities. 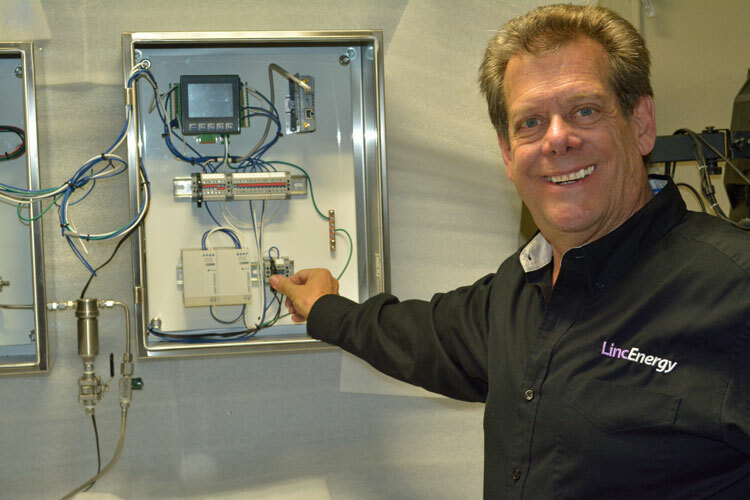 An operator at an office can instantly ascertain the dose rate, gas flow, odorant tank levels and other pertinent details. (The GPL odorizer is indeed SMART, meaning it can receive alarms on a smartphone. Additionally, the GPL odorizer can be accessed and reprogrammed through a smartphone, tablet or computer.) Injection systems also provide appropriate documentation to demonstrate the proper odorization rate and provide the operator proof of continuous odorization. Like any electronic device the disadvantage, of course, is that it is susceptible to lightning damage. Backup power, of course, is required for outages. If the electronics fail, the unit may become inoperative if parts are not readily available. In general, injection systems are usually not recommended for small load systems because there is too much time between doses for continuous odorization at minimum flows. Additionally, injection systems cost more than evaporative systems. Some manufacturers, like GPL Odorizers, have made great strides in overcoming the disadvantages noted here.